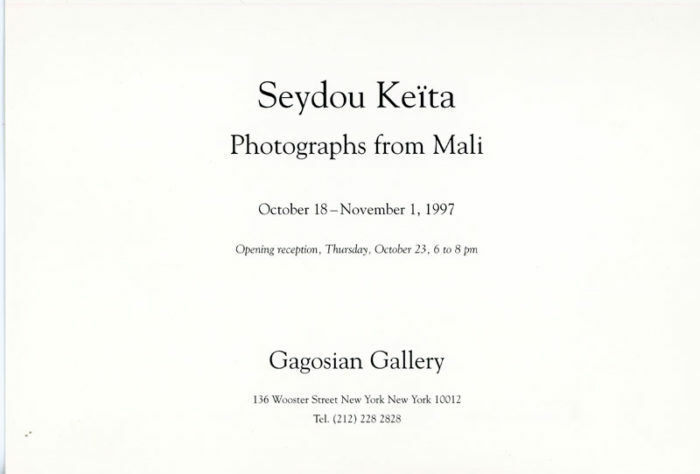 Folded card for Seydou Keïta’s Photographs from Mali exhibition at Gagosian Gallery, 1997. 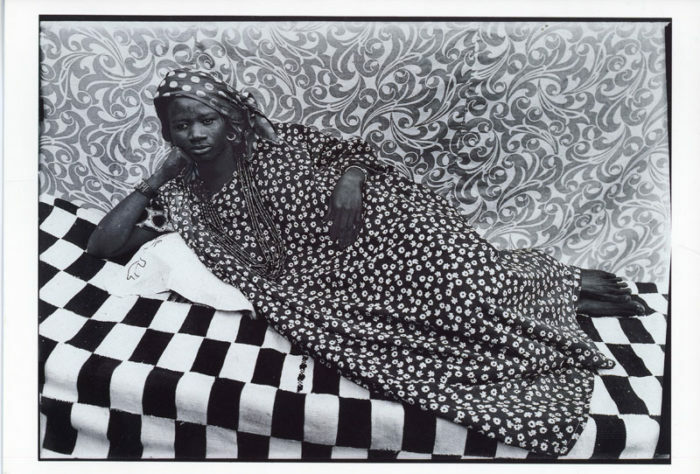 Front of card features Keïta’s photograph, A woman lying on her elbow on a bed covered with a beautiful black-and-white chequered blanket (koso walan). She is wearing a loose boubou in a flower print (dloki ba) and a head-scarf “á la de Gaulle”. 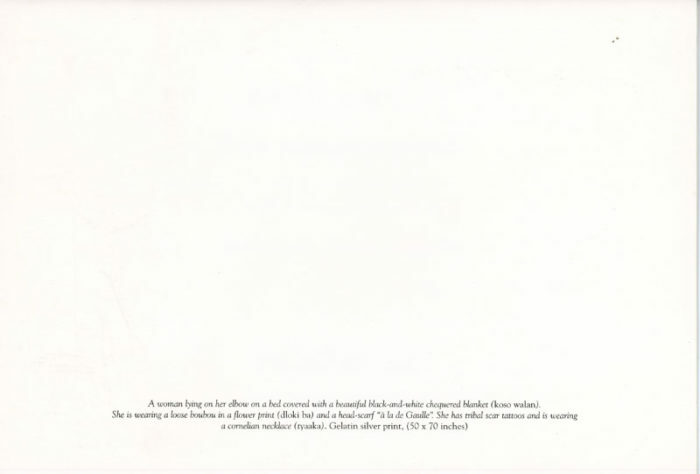 She has tribal scar tattoos and is wearing a cornelian necklace (tyaaka).